Display counters and trade show charging stations not only complete the professional look of your trade show display, but they provide much needed functionality, as well—everything from storage, product displays, reception, demos and more! Trade show display counters from E&E Exhibit Solutions are available in a variety of sizes, configurations, colors and finishes. And, our display counters are very versatile; once your event is over, your display counter continues to be a valuable and functional furniture choice for your lobby, office or retail location. We also offer a wide selection of display counters with charging stations embedded in them. 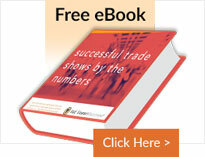 Click on trade show charging stations for details! Need a display counter for a one time use? Consider renting one! Check out our exhibit rentals site for an assortment of choices. 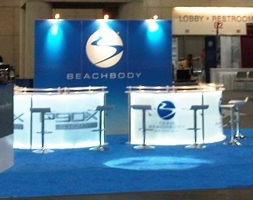 Have a question about how display counters will benefit your exhibit booth?